Lenovo ThinkCentre M93 10A5 Tiny Desktop PC Intel Core i3 4150T 3GHz 4 GB 500 GB. 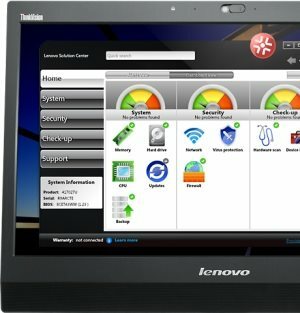 The Lenovo ThinkCentre Mp93p takes productivity, manageability and efficiency to the next level. The desktop is available in both Mini TW ,SFF Pro and Tiny designed specifically for the rigorous demands of large enterprises, Public customer and education world. As leading 1L size product, Tiny support Intel Core i7 for extreme computing power.Tiny also can support industry No. 1 USB KB power on for better user experience. Innovative SFF Pro support Dual HDD and Dual Graphic, which provide TW expansion ability. Powered for productivity, the space-saving ThinkCentre M93 Tiny is a great choice for large organizations that need the utmost in reliability, power, and data security. 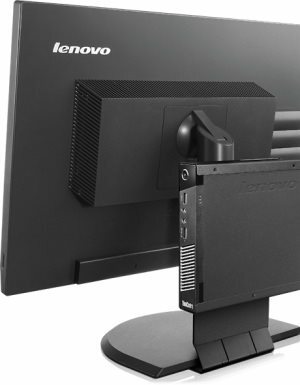 Lenovo's Tiny desktop is complete with flexible mounting solutions including support for standard VESA mounts, The Tiny desktop fits just about anywhere, yet it provides a reliable, enterprise-level performance that you can depend on. The M93 desktop includes some great security tools available in the industry, including USB ports disablement to help prevent data theft and network security risks against unauthorized use of storage devices. Trusted Platform Module (TPM) encrypts data and key information like passwords and digital certificates, further securing applications, electronic transactions, and online communication. Plus the M93 desktop includes a chassis intrusion switch, which alerts against any unauthorized access attempts. Enables 10 times faster file transfer, allowing for lightning-fast copying of large media files, as well as seamless connections between audio- and video-related peripherals. The M93 desktop features 15-month platform stability with no planned hardware changes that affect the preloaded software image. Image stability for long-term deployments helps to reduce transition, qualification, and testing costs to ensure savings for your business.